As pastors and citizens of our community we stand in solidarity with countless millions across the country asking that the government undertake a renewed investigation into the possible racial motivations of George Zimmerman in stalking and eventually killing the 17 year old and unarmed Trayvon Martin. 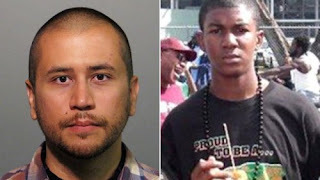 Although the courts and the predominately White female jury has interpreted the evidence in favor of Mr. Zimmerman, it is more than obvious to millions of Black Americans that the interpretation of Trayvon's efforts in his own self defense were viewed through a racial interpretive and not an interpretive lending itself to either individual or community justice. We feel that his actions are due a much greater level of scrutiny, and as it has historically been in civil rights, if scrutiny is not called for, justice will not be served. We also feel that a local conversation is vitally important to our community, in part, because a version of "stand your ground" and "self defense" will be adopted in relationship to new laws associated with concealed carry in Illinois. Since it is abundantly clear that such laws are rarely interpreted in favor of Black men and woman, it is in the citizens best interest to stand with a strong voice demanding the full attention of our elected representatives as they move forward to forge and implement such legislation. Finally, we must seek to challenge local authority to create and implement law enforcement policy acceptable to ALL of the citizens of Peoria which includes the Black community. Although national statistics affirm that the rate of usage and sales of drugs are shared in sheer numbers by both Black and White individuals, incarceration rates of Blacks in Peoria for such crimes hold steady to national norms, lending to the negative sterotypes and discouraging outcomes for Peoria's Black citizens, families and youth in particular. We feel that we must continue to address these stereotypical attitudes that result from this negative attention and set forth agenda that will address issues of ALL as we seek to build a better, stronger and more vibrant community. In short, we encourage and stand with those who stand for the rights of free speech, peaceful assembly, and the message of accountability directed towards those who have been charged to govern us. In a post civil rights America, we should be reminded that this call to accountability is a duty to all citizens and not just some citizens.